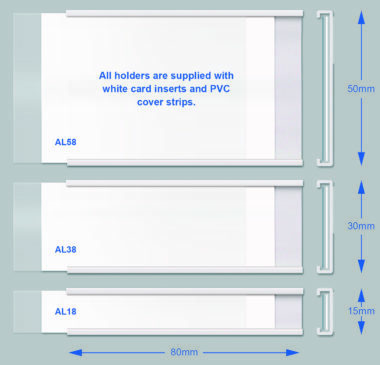 Our self-adhesive label holders are supplied with an aggresive adhesive to offer a long term fixing option. Supplied in pre-cut sizes or 1m lengths. 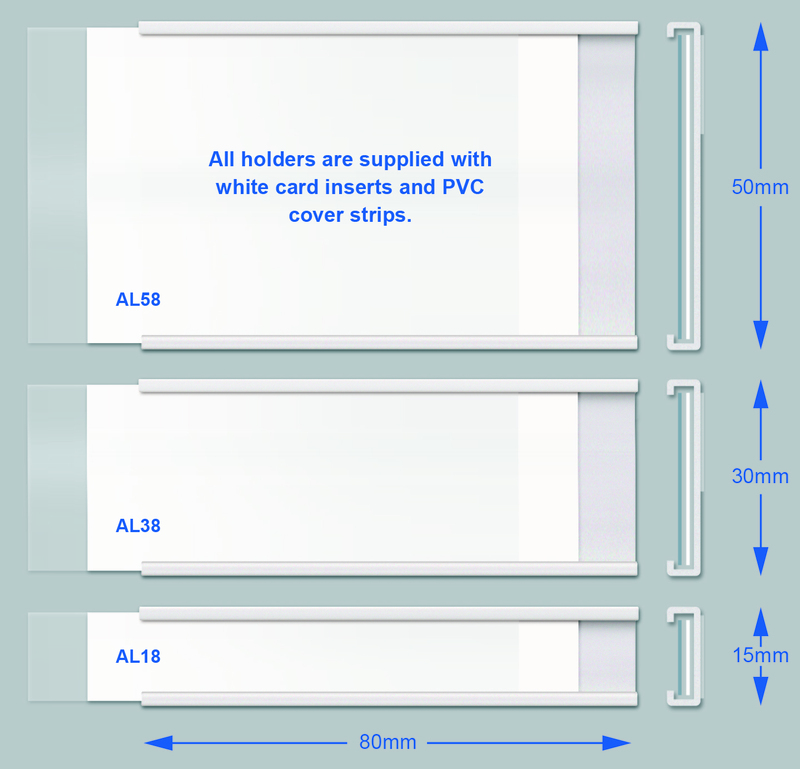 Supplied with white card and clear PVC strips. Standard sizes supplied from stock. Self-adhesive offers a long term option of fixing label holders and more stability in environments where the labels need to be changed frequently. The smaller holders are an ideal solution for the identification of pigeon holes, whilst the larger holders suit environments such as offices, libraries and schools. Specials cut to exact lengths up to 3m long can be supplied – please call for further details.